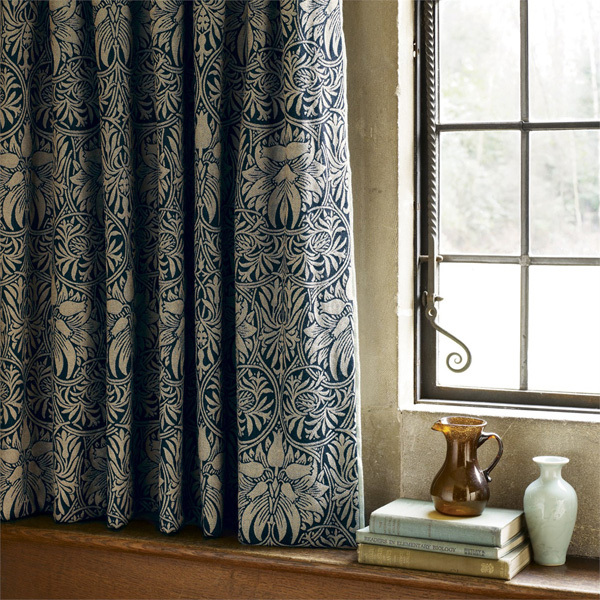 William Morris hand printed his early textile designs in the 1880s by reviving the old and notoriously difficult indigo discharge print method. 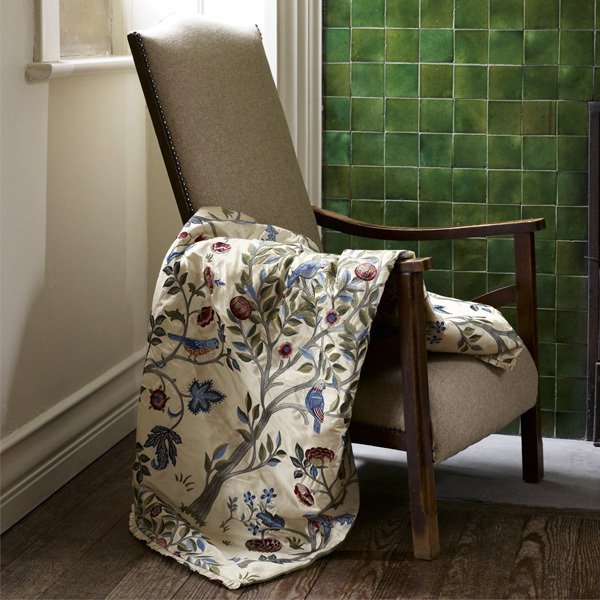 Produced at his Merton Abbey workshops in South London, Morris favoured natural dyes which faded evenly and aged beautifully. 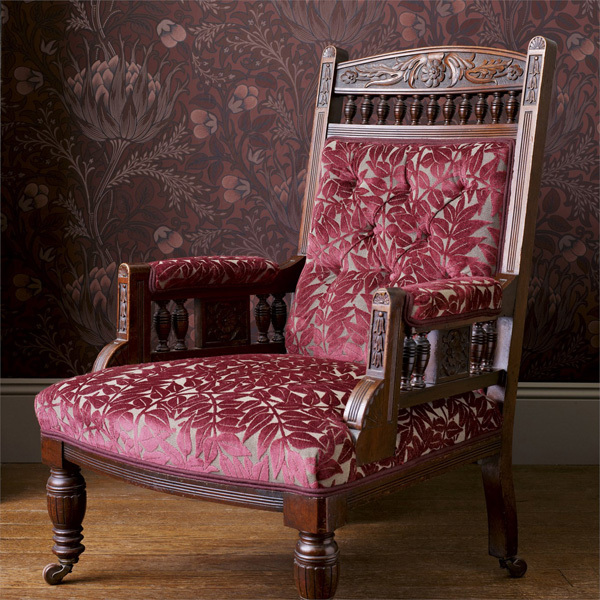 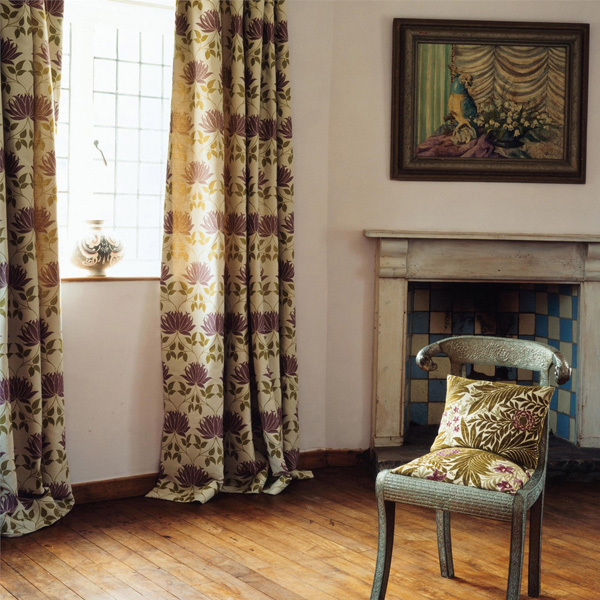 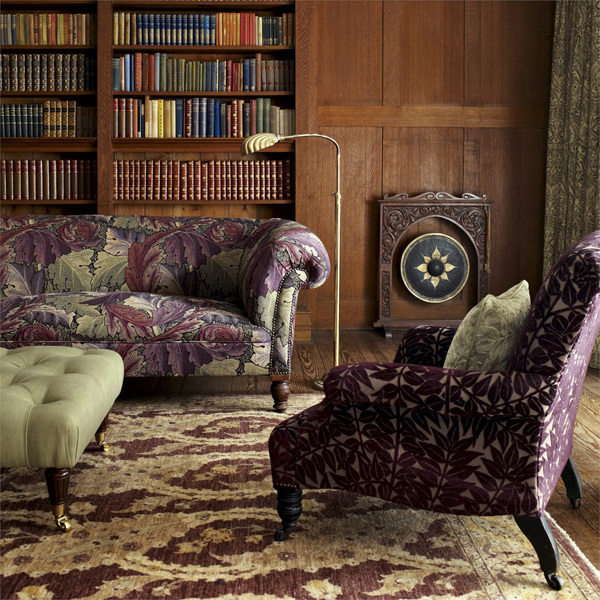 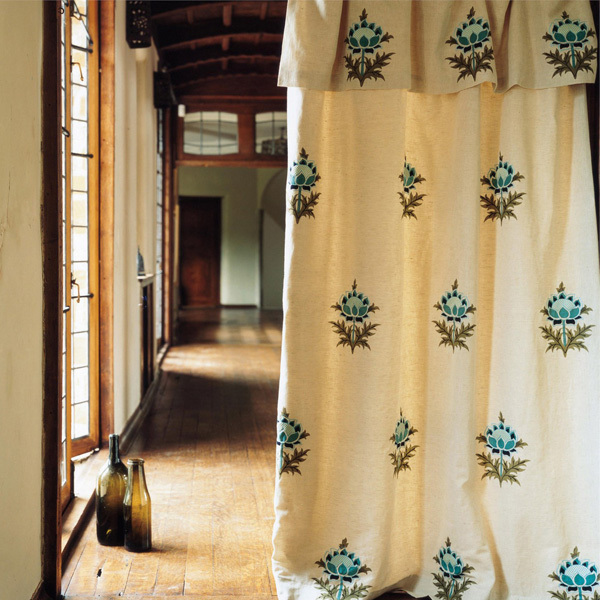 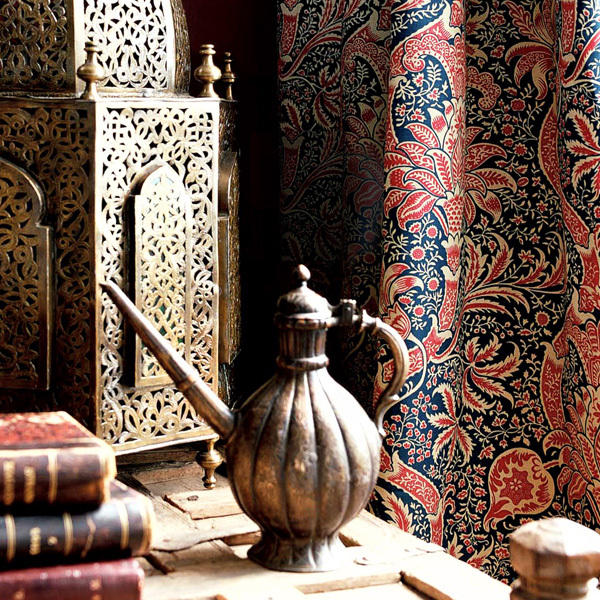 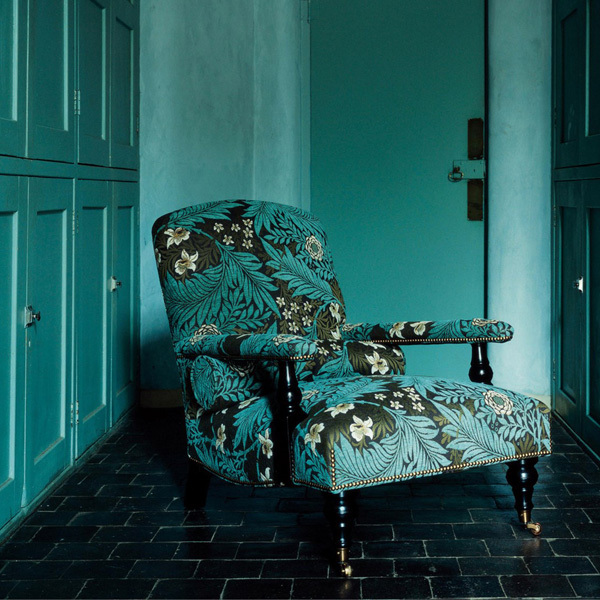 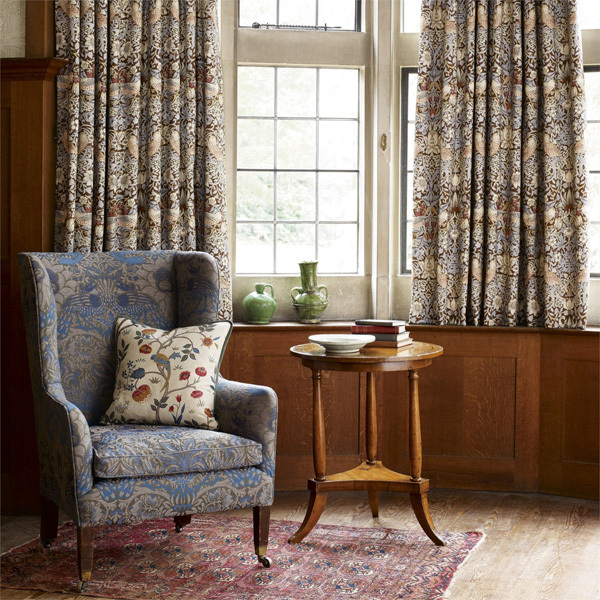 Today, the Morris & Co. archive provides an inexhaustible resource of patterns from which the studio create authentic reproductions, or may re-scale and re-colour, evolving the designs to appeal to the more contemporary decorator. 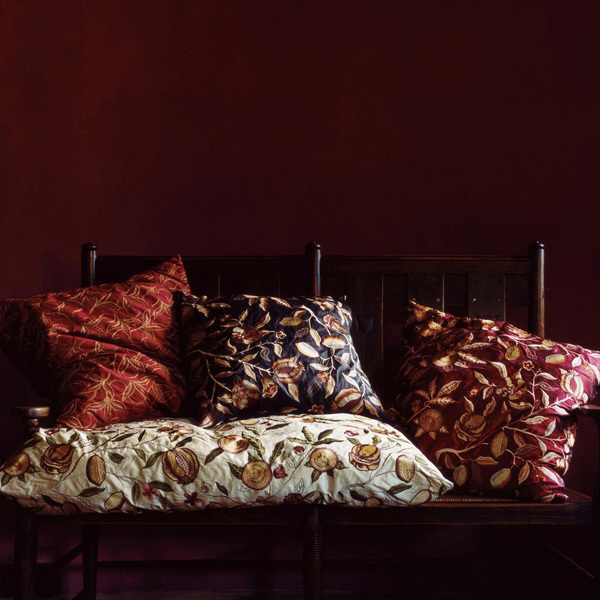 Working with the experienced and dedicated team of printers at our mill in Lancaster, the studio strive to capture the character and appearance of the block printed originals. 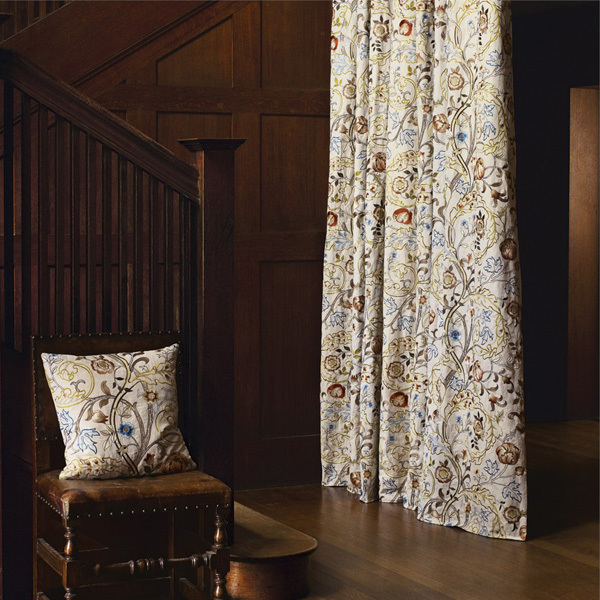 Aspects of Morris’s life and work also provide the stimulus for new fabric designs which are painted in the studio and exquisitely translated into print or embroidery. 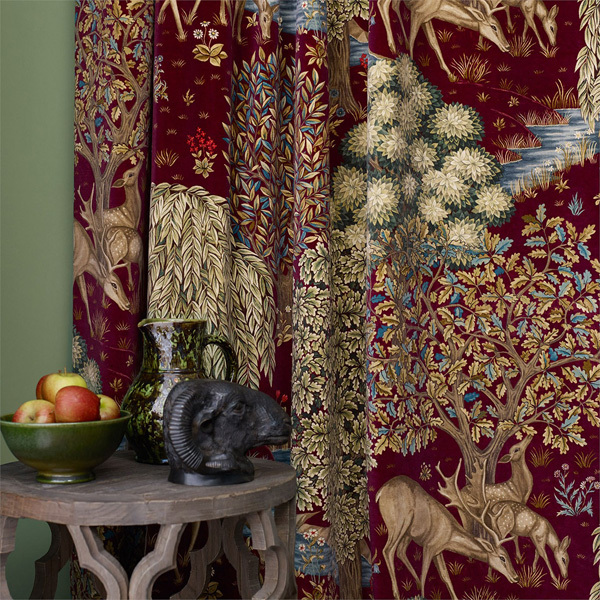 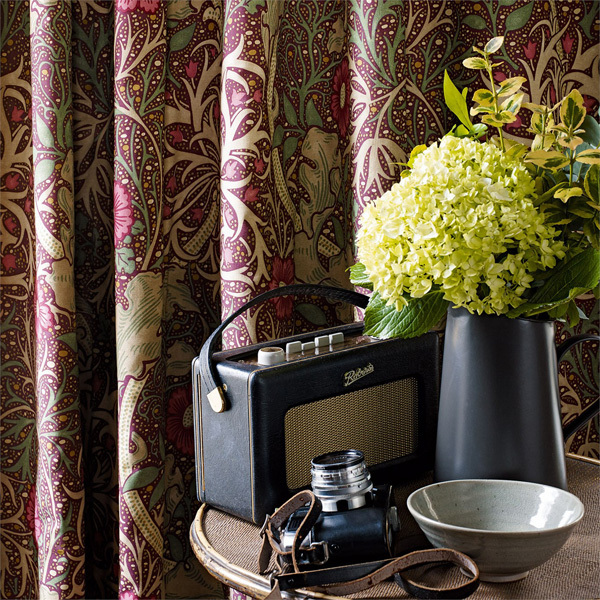 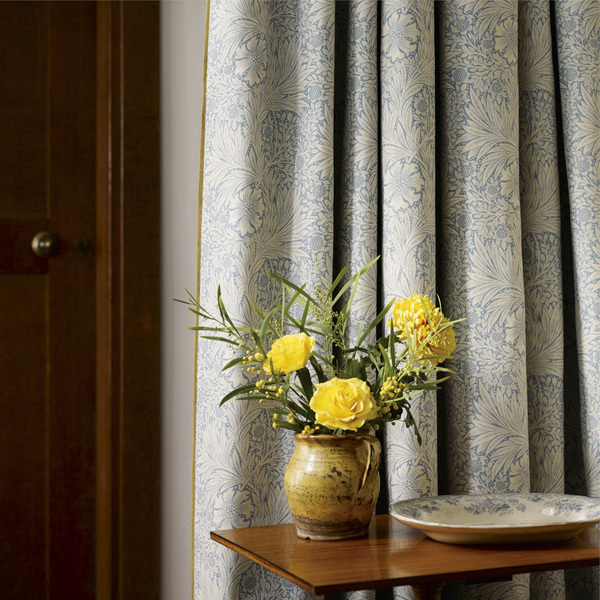 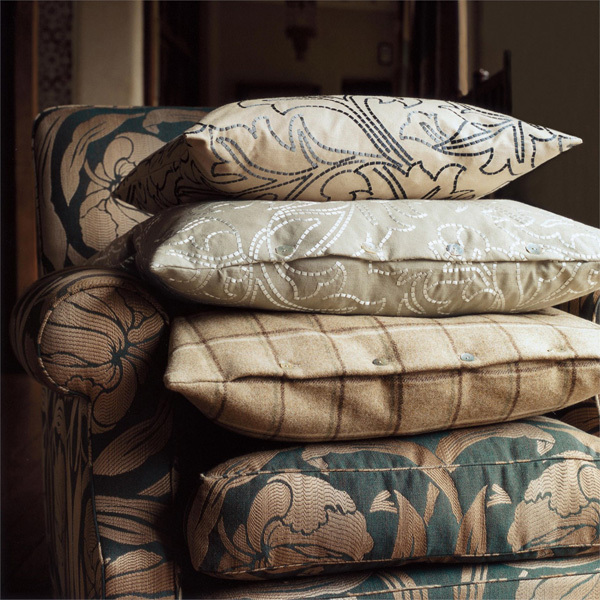 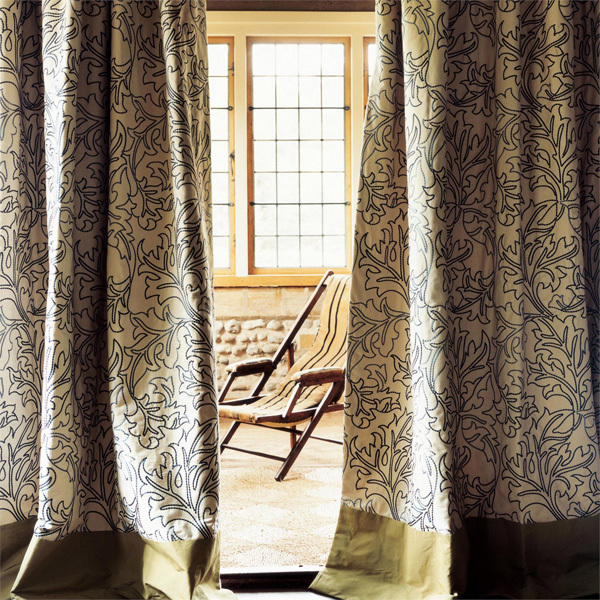 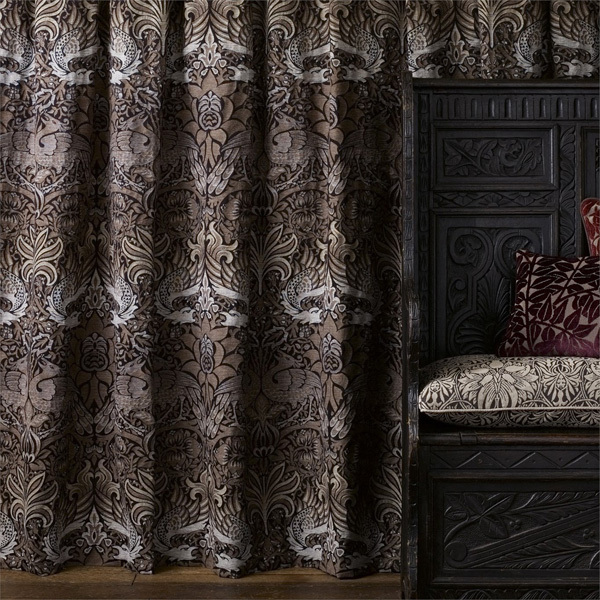 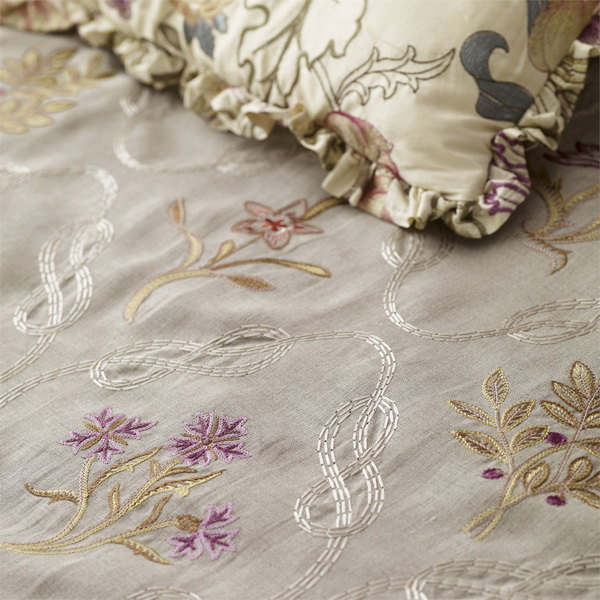 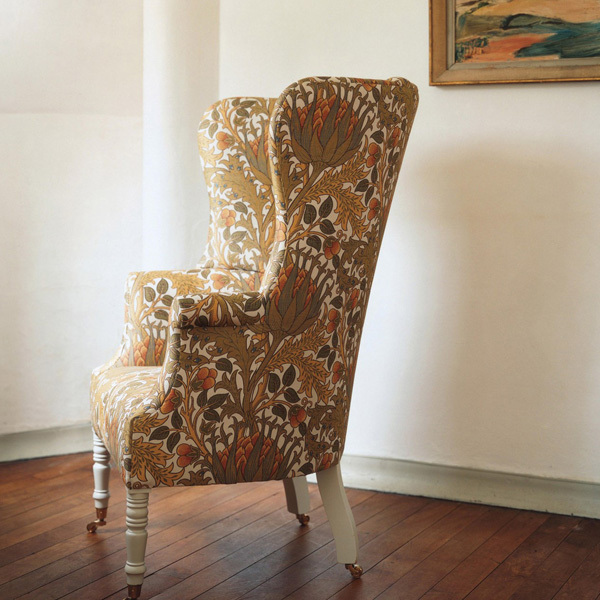 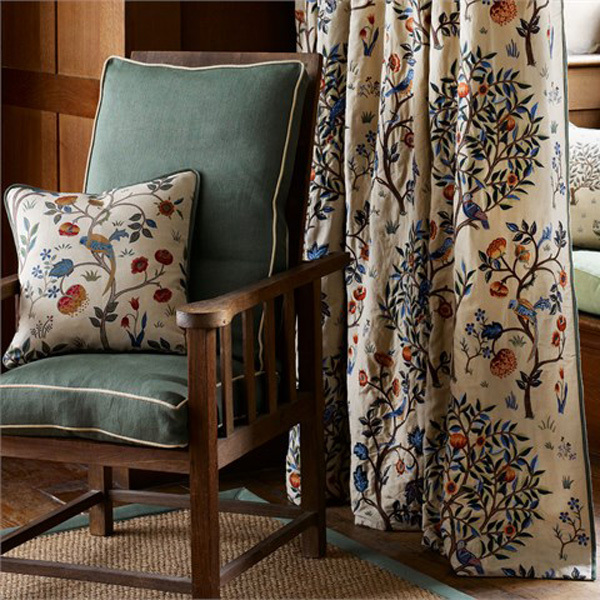 Morris & Co. fabrics come in a wide choice from woven tapestry and jacquard qualities, printed linens and prints, all-over silk embroideries and classic cotton damasks, through to lightweight pretty leaf trails and semi-plains.